It's empties time! 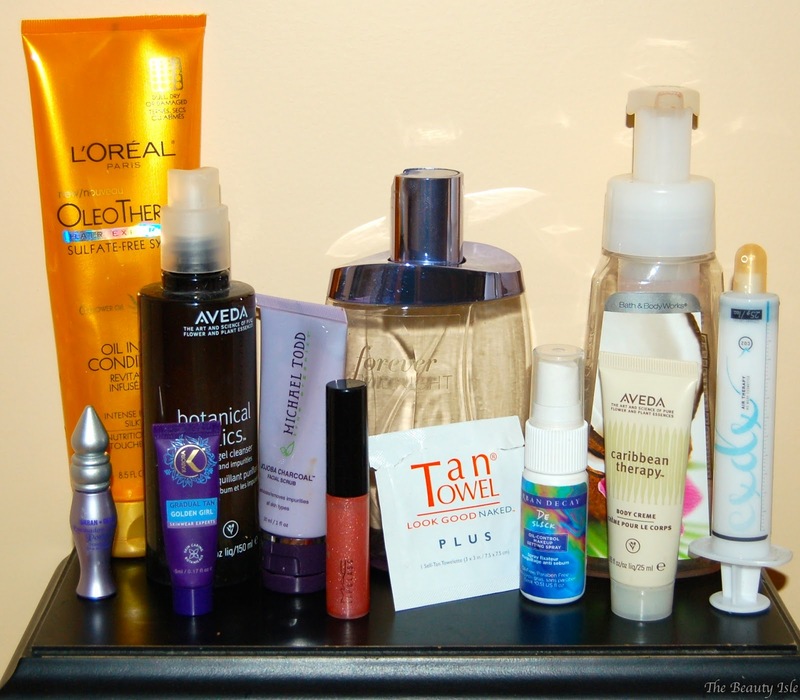 Here's all the beauty products I used up in the month of August. These are the only hand soaps I keep in my bathroom and I love them. This one had a nice scent. I always have tons of backups of these. This sounds like it would be an amazing conditioner, right? It was decent. Nothing special at all. I'd repurchase if it was on a good sale and I had coupons. I loved this setting spray and feel like it really works. I'm waiting on some sort of a sale to repurchase it. Though I'm not sure if I should repurchase this one or the Chill one or one of the other ones. Have you tried these and like one over another?? p.s. I'm keeping this little bottle because if I end up getting the larger bottle, I'll keep this one to fill for travel. I received this in a Memebox. This is the syringe in the photo above. The syringe contained a gel that once you place the sheet mask on top it activated the gel to fizzle on the skin. It was a very strange feeling and I can't say that I saw any improvement in my skin (though I only got 1 use out of it). This had a manly cologne-like smell and I'm glad to have finally finished it. I won't be repurchasing. I'm not sure if all Tan Towels are this small but this one was really only big enough for my face and I wiped a little on my arms too. It gave me an ever so slight color. Going by this tiny application, I wouldn't repurchase this. I got talked into buying this after a facial at an Aveda salon. I really like Aveda products, I just don't like their herbal-like scent. This was a decent face wash but there are drugstore ones that are just as good and less than half the price. I wouldn't repurchase. I used this as a hand cream and it was fine. I wouldn't repurchase because there was nothing special about it and as I stated above, I didn't like the scent. I liked this face scrub but it was a bit too gentle for me. I prefer my scrubs to be more gritty. I wouldn't repurchase. This gloss took me forever to finish and I'll be saving the container for Back to MAC. These are my fave glosses and I have more in my makeup stash. I used this on my face and I love the bronzey look it gave me. I reviewed other products from this line HERE. I loved this eye shadow primer. I have a million other shadow primers to get through so I won't be buying a new one anytime soon.